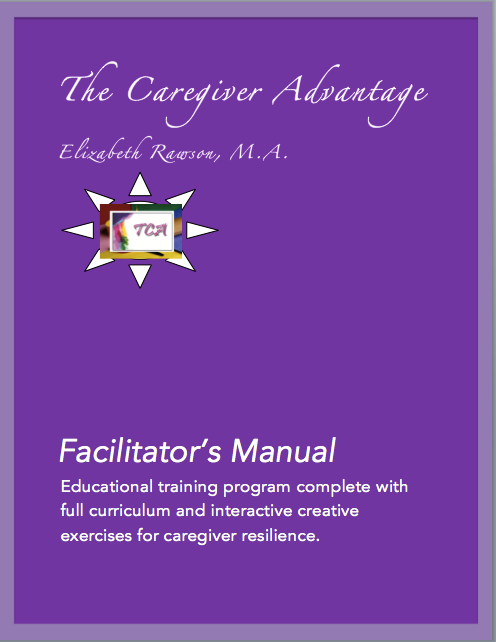 The Caregiver Advantage Facilitator Manual is a comprehensive, all-in-one resource that makes it as simple and stress-free as possible to create meaningful learning experiences in a group setting for caregivers. The Caregiver Advantage (TCA) presents a psycho-educational model combined with experiential art materials. 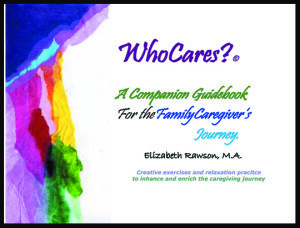 The Facilitator’s Manual is curriculum designed to train facilitators as they help caregivers in strengthening practical skills for dealing with daily caregiving tasks, increasing caregiver confidence, and improving communication, cooperation and understanding of the caregivers’ and families’ perceptions about the nature and level of care needed. Throughout the curriculum, facilitators along with caregivers will engage in creative exercises, visualization, and mindful relaxation – all of which activates the caregiver’s development in self-care. The simple art materials are used in a sequential “building block” concept to help the initially overwhelmed caregiver receive and absorb the coping strategies, knowledge and skill sets offered. The participants can share from their own internalized experience, learn from each other and come to their own conclusions to begin to build self awareness, esteem and the capacity to maintain personal well being. The curriculum is laid out in seven weekly or bi-weekly 3-hour sessions which incorporate the training, experiential process and meaningful dialogue with peers. NOTE: A knowledge of “art” is not part of this group process. Elementary and household materials provide fun, relaxing, yet important involvement in the caregiver’s exploration and recognition of what it means to move towards self care and well-being.